Sick of carrying around your big CPAP machine when away from home? Are you sick of carrying around your big CPAP machine when away from home? The CPAP machines of yesteryear are quite cumbersome devices. They take up a lot of space on your bedside table. They are heavy to carry when you are travelling and also take up a lot of luggage space. What often happens as a result of this is that a CPAP user will leave their machine at home and not use for a night or for consecutive nights. As a result of this you may encounter those classic symptoms of sleep apnea – waking unrefreshed, lacking energy during the day, headaches, moodiness – that general feeling of unrefreshing sleep. On top of this, if you are travelling with someone, they will also be exposed to your snoring and pauses of breath during the night. 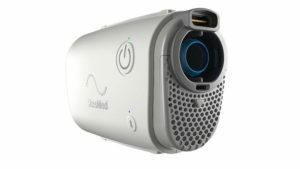 Over the past couple of years, there have been some smaller, travel CPAP machines released. 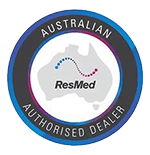 The ResMed AirMini is feature packed and has been a great alternative for people to use while on the road. It weighs roughly 300 grams and is 1/8th the size of the ResMed AirSense 10 devices. There are alternatives to CPAP available which, if you are interested in, should be discussed with your Doctor. These include Mandibular Advancement Splints and PROVENT which are options that do not require power. We repeat, it is imperative that you talk to your Doctor before trialing these as therapy options. If carrying your CPAP equipment around is a burden and causing you trouble then why not book an online CPAP equipment discussion with us? 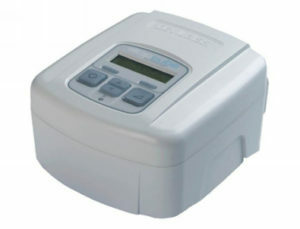 We have many years of experience dealing with CPAP equipment and can tailor a solution to fit your travel needs. Ian in Bangkok and not sure if I can use the Resimed Airmini here.Please let me know as soon as you can. Hi Megan, I am not too familiar with the power situation in Thailand unfortunately. See below for the power information for AirMini. Bernie, Yes there is. There two humidifier tabs, HumidX then HumidX Plus. One offers a “standard” amount of humidification, the other offers a bit “extra”. Of note, these are only available when using the nasal (N20) or nasal pillow (P10) masks.